Peter Oberholser is the eldest known son of Samuel Oberholtzer -(1729-1783). Samuel immigrated with his father, Jacob, and sister, Elizabeth, in 1732. It is unknown where Peter was born. He would have been conceived shortly after the marriage of his father, Samuel, and Maria Eva Hausswirth, his mother. Since this marriage happened in Lancaster County, Pennsylvania in 1765 and the first known location after that is the purchase of property in Frederick County, Virginia in 1771, Peter and many of his siblings could have been born in either state. Peter didn’t marry until eight years after his fathers death. He married Anna Baughman, daughter of Jacob Baughman and Catherine Neff. Although my Maternal Grandfather is a Neff, my Grandmother said Catherine Neff belongs to a collateral line. I am sure they have this research and proof but I will not include it here. I have not found evidence that Peter ever left Frederick (later named Shenandoah County), Virginia during his life. He is buried in the Holman’s Creek Orchard Cemetery outside Mount Jackson, Virginia, near Quicksburg. 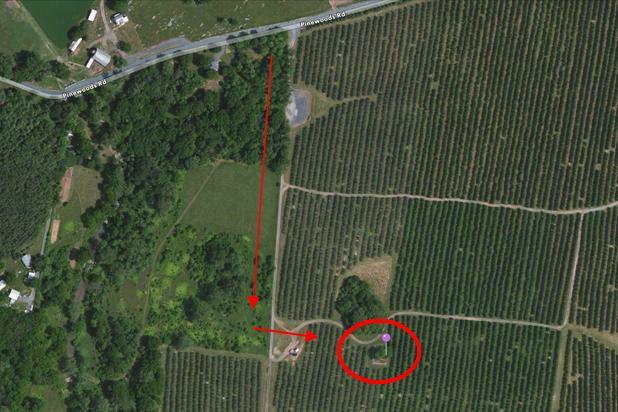 The location of the cemetery was difficult at first but it is clearly in an orchard, even today. 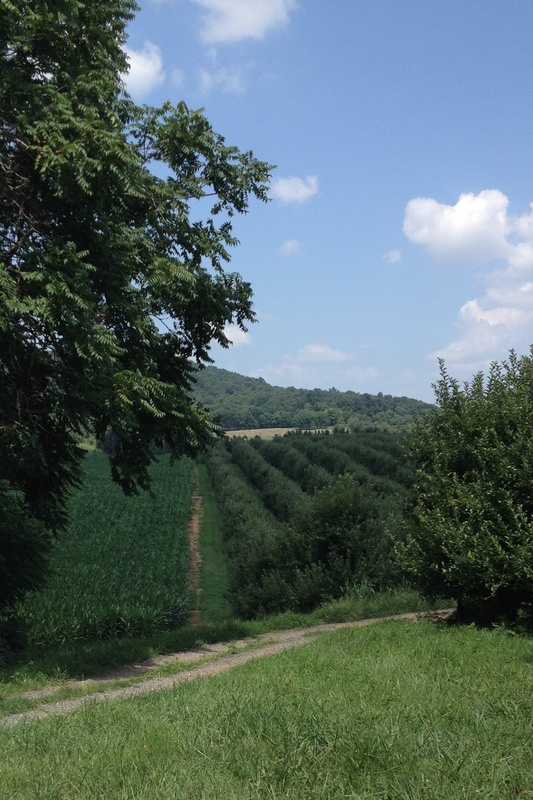 This is the view from Holman’s Creek Orchard Cemetery facing north. Google Maps gives a birds eye view of the cemetery. 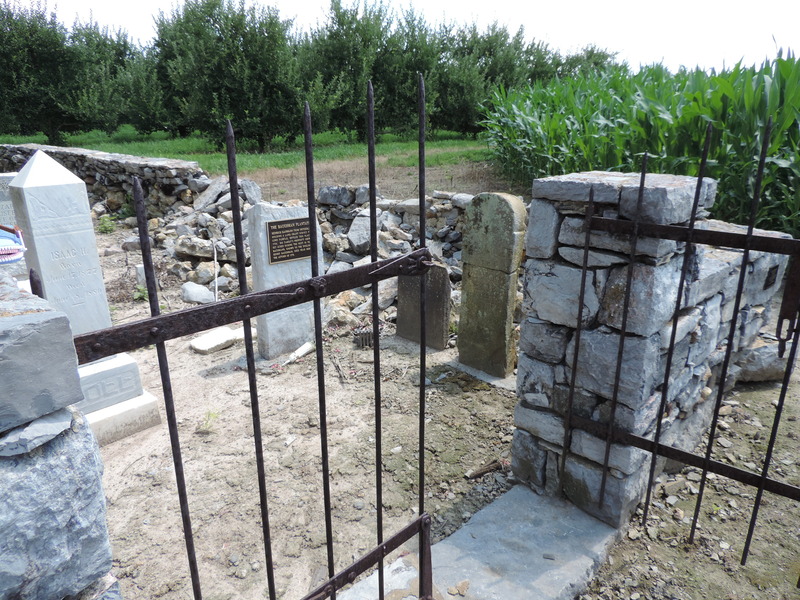 The cemetery is located off of Pinewoods Road in Quicksburg. 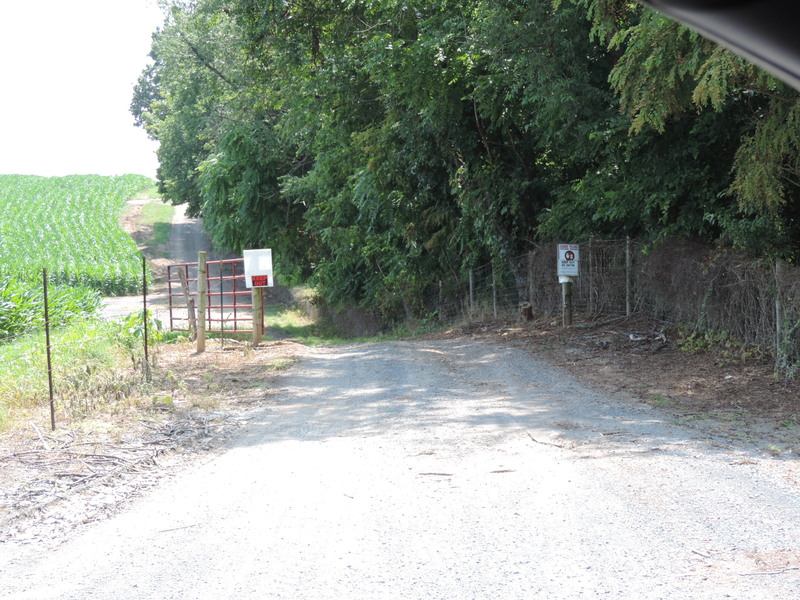 The entrance posts No Trespassing signs but appears to be used primarily by agricultural equipment. This is the view from Pinewoods Road of the road which goes back to the cemetery. A view of most of the cemetery looking from the road. There are quite a lot of plants or weeds growing up in places. The grounds appear to not be frequently maintained but obvious care has happened. Many of the stones are falling over or have fallen. Others seem to have been repaired. The back wall is partially there and ends where it continues to crumble. There is also a large groundhog entrance and exit. Side gate and possible entrance once. Of particular interest to me is the tall, repaired stone to the right of the gate. This is the stone of Peter Oberholser. Jerry Silvious provided a translation to Peter’s stone, which is in German. 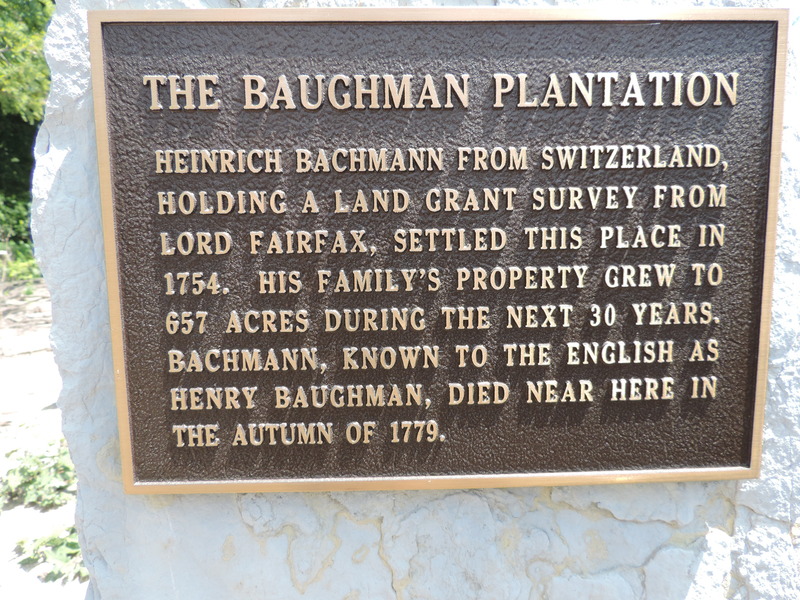 The Baughman Plantation plaque located to the left of the gate. Peter and Anna Baughman Oberholser had nine children during their almost 27 years of marriage. Many of Peter’s children moved to Clark County, Ohio. I believe Anna went there after Peter’s death to reside with her children and possibly remarried. She does not appear to be buried here with Peter. I have yet to determine her death date and burial location. Benjamin Oberholser 1815-1890 – moved to Ohio and married Catherine Balmer? 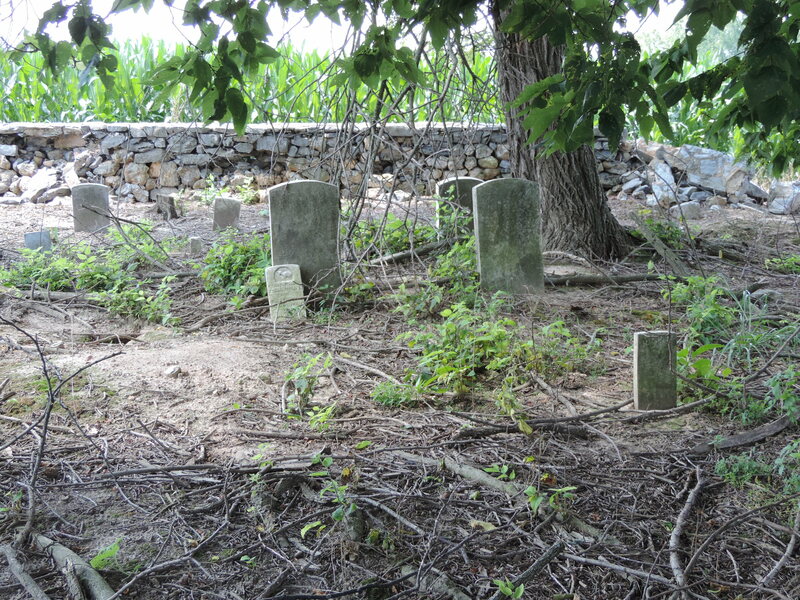 Previous PostSamuel Overholtzer (1729-1783) ~ Land and burial in VirginiaNext PostWhere’s Wald- Oh, I mean Edward? !